Kapka Kassabova: In search of stories. 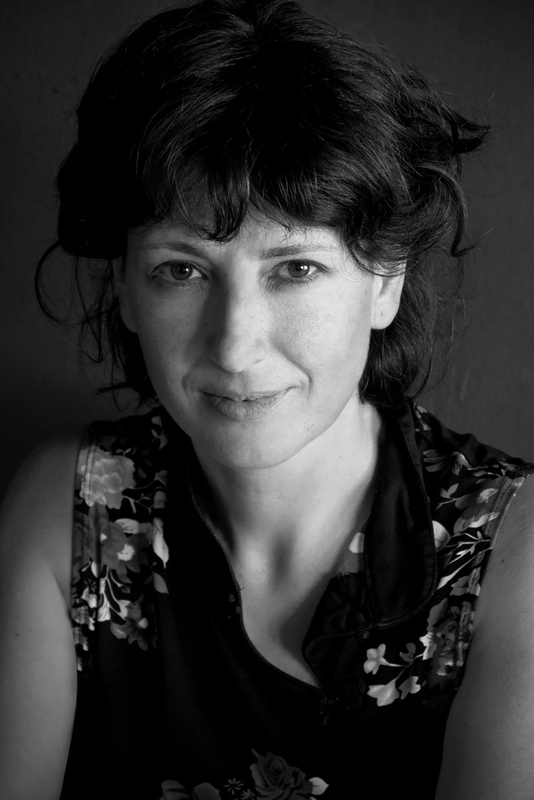 Kapka Kassabova is a modern Scheherazade – a dazzling writer who tells stories as if her life depended on it. And these tales are not her own fiction. She seizes stories and the men and women who give her the stories with the same compulsion that made Robert Burns collect songs or J.F. Campbell of Kildalton record both Gaelic legends and their reciters. But as this wonderful book goes on, a kind of deep background music begins to be heard: themes and images which recur and weave all the voices into a pattern. She has been travelling in a part of the world – the eastern Balkans – where most of the stories hurt. Some, especially the untold ones, can be very dangerous. Her friend Ioanna, a forest ranger and mountaineer, warns her: ‘You must be careful not to get addicted to story-hunting. Because it’s like rock-climbing. It only takes once.’ An ominous man who worked with the Stasi in East Germany during the Cold War, and was probably connected to the Bulgarian frontier guards who killed so many would-be escapers, says to Kassabova: ‘Don’t go round digging up old graves, my lovely’. When she leaves, there’s a note on her windscreen: ‘You only have one life’. 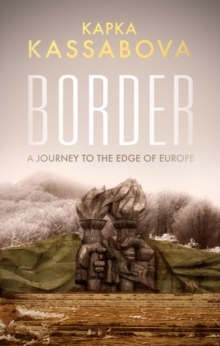 The ‘border’ of the title is the mountainous, forested landscape where Bulgaria, European Turkey and Greece come together. It is a border which has often shifted in history. It was at its most physical and brutal during the Cold War when Bulgaria was a Communist state. Today, with Greece and Bulgaria both in the European Union, the fence with its sandy death-strip, its watch-towers and guardhouses, rots away forgotten in the border forest between them. It’s a border endlessly crossed by armies, from Darius and his Persians to the Nazi divisions bursting through the Metaxas Line into Greece. But in recent centuries, it has been above all a border crossed by populations in flight: families expelled from their homes for their religion or their language or, today, fleeing from death in Syria and Iraq. Almost everyone has roots or relations in another country, and nostalgic visions of a lost homeland. The great mountain massifs of the Rhodope and the Strandja, which run to the Black Sea and separate Greece and Turkey from Bulgaria, are full of deserted villages emptied by one vengeful nationalism or another. Kassabova can understand this landscape all too well. She was born and grew up in Bulgaria, although the family emigrated to the West after the fall of Communism and she now lives in our Highlands. What does ‘home’ mean for her – a house in a new place, or the cosy Turkish word ‘memleket’ connected with the term for a woman’s breast? What did it mean for the millions of Greek Muslims expelled into Turkey after 1922, for the Christians simultaneously expelled in the opposite direction from Turkey, for the hundreds of thousands of Bulgarian Turks forced to change their names and faith or flee to Turkey during Bulgaria’s 1986 ‘Revival Process’? Or for the Pomaks, the indigenous Slav or perhaps Thracian population in the mountains who had become Muslim in distant centuries and were now treated by Bulgaria as a Turkish ‘fifth column’ and by Greece as a Bulgarian Communist ‘fifth column’? Refugees heading one way pass expellees heading the other way, and occupy their deserted houses. The author had been an urban child, brought up in Sofia. Now, 25 years after she left, she wanted to return and visit the remote ‘Terra Incognita’ of the once-forbidden borderlands, ‘one of Europe’s great wildernesses’, still roamed by wolves, bears and jackals but drained of most of its human population. Kassabova flew to Burgas, near the ‘Red Riviera’ beaches where she once spent holidays, hired a car, and drove into the mountains of the Strandja range. It used to be a closed zone; her mother had told her: ‘The forest is full of soldiers’. Now she made her way to ‘the Village in the Valley’, a tiny, remote settlement high up on the border with Turkey. She settled there among its empty houses, made friends and began to hear stories. At the end of the Cold War, the Bulgarian economy collapsed and the border jobs – frontier guards, smugglers – vanished. The village lost most of its people. But something of the ancient culture survived. Kassabova was taken to a festival at a healing spring in the forest, where sacred icons were washed while bagpipes played over a feast of lamb soup and fire-walkers (‘nestinari’) trod through red-hot embers. The stories were about the border. In Communist Europe, many young people mistakenly thought that the frontier between Bulgaria and Turkey (‘the free world’) was easy, a mere hike across the mountains. East Germans especially: some 4,000 of them tried it. But the Bulgarian guards, reputedly rewarded by the Stasi, shot to kill. One story told of Klaus and Brigitte, brother and sister; it took 140 bullets to kill them in No Man’s Land. The old guards remembered their victims. ‘Two German guys in their twenties … we surrounded them, eighty of us with dogs and just two of them. Their trousers were in shreds from the wire. The searchlights were on them And they stood there ….they looked defiant. Even though their lives were over.’ Or Michael, aged 19, from Leipzig, shot and left to bleed to death by the wire just three months before the Berlin Wall fell. And ordinary border folk were complicit. How could they not be, knowing what would happen to them if they didn’t report a fugitive? The school children were given a regular treat: raking the sand of the death strip to erase footmarks. One day, a shepherd saw this happy German sitting in a meadow and eating an apple. He thought he was already in Greece. But he was wrong, and he died after what the guards did to him in their barracks. That story haunted the local people – and the shepherd’s son. But another story Kassabova heard had several endings, depending who told it, the story of the Czech couple who actually made it into No Man’s Land. But then they saw a basket of food, near a man working his allotment. One version says they stole his lunch, ran on into Greece and were happy ever after. Another that the man, missing his basket and guessing who might have taken it, suddenly feared that it could be a trap, a loyalty test set by the border guards. So he reported the Czechs, who were caught and not heard of again. And there was a third version: the Czechs resisted temptation and arrived in Greece starving. Kassabova herself crossed borders. She stayed in each of the twin border cities in Thrace: Svilengrad in Bulgaria and Edirne in Turkey, and in the old tobacco capital of Drama in Greece. She hung out in smoky frontier cafés: ‘Ali’s’ near Edirne and ‘The Chicken Shack’ in Harmanli on the Maritsa river, where refugees from Syria and Iraq, desperate to reach Bulgaria and the EU, bargain with people smugglers over glasses of tea. Everywhere, she talks to the characters she meets: the café owners, Kurdish asylum-seekers, Syrian cooks, tragic Kemal from Morocco who made his way to Europe for the sake of a Frenchwoman who jilted him, Ariya who was kidnapped and raped by traffickers … And everywhere she is given more stories. The author finds a second border village, this time in the Rhodope range separating Bulgaria from Greece. Here they are Pomak people, indigenous but Muslim; many families were deported by the Communist regime and only allowed to return many years later. Kassabova meets Ziko, ‘a whippet of a man’ who lived well as a smuggler before the border opened. With Ziko and his friends, she sets off to walk the steep ‘road to freedom’, the route to Greece used by escapers from the Communist world. This is an eerie place where buried treasure is supposed to lie under the mountains, where the evil eye is cast and ghosts wail. On the walk she passes a young shepherd in the hill fog, and she hears how he once strangled a wolf with his bare hands. But when she returns he has somehow become ‘a huge old man with white hair … Ziko laughed like a hyena but said nothing’. On a beech tree by the stones marking the border, the name ‘Zora’ has been cut into the bark. By skill and luck, Kassabova finds Zora, now a glamorous exile glared at by black-clad Greek neighbours, and hears the story of her four attempts to escape from Bulgaria – ‘the woman who walked for a week’. Kassabova goes on to gather the tales of Tako, unpaid guardian of a ruined monastery, the memories of the grandson of Selvet, the widow who tended a Black Sea lighthouse, the stories of the shepherd-couple Mustafa and Ferida who are the last inhabitants of a deserted border village. It’s no wonder that, as this spell-binding book closes, Kassabova herself has to undergo a healer’s releasing spell before she can escape her own ‘inner darkness’ and return to Scotland.